Above, Playland Pier in 1968. Photo courtesy of the Museum of North Idaho (Rec-11-28). 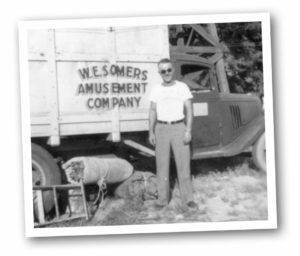 In the fall of 1940, Earl Somers and his wife Byrd moved to Coeur d’Alene, Idaho with the idea of operating an amusement park near the Coeur d’Alene City Beach and Park. For years, Earl and Byrd had operated a traveling amusement company based in Pasco, Washington. They were in their mid-forties and were looking for a permanent location. Tired of traveling from city to city and dealing with the problems of setting up, taking down and traveling, Earl was convinced Coeur d’Alene was the perfect place for their amusement business. (Earl is pictured left in Pasco, WA in 1942, courtesy of the Museum of North Idaho.) He began to meet with city officials about the possibility of leasing land near the city park. It took over a year to convince the city fathers this was a good thing for Coeur d’Alene. On January 6, 1941, a special meeting of the City Council was held to discuss the idea of leasing Earl Somers a section of land between the Great Northern depot and Coeur d’Alene Lake for the purpose of building an amusement pier. The terms and provisions of the proposed lease were discussed at considerable length. The principal provision was that the city was to construct a pier 140 feet wide east and west and 300 feet north and south to the level of the concrete walk in front of the park. Somers was granted a 15-year lease with the option of 10-year extension. The city was to receive five percent of the gross receipts to be applied against the cost of the pier. After the cost was repaid, the city was to receive five percent in cash. In a lengthy discussion about the lease, several citizens expressed their views. There was some opposition, but, for the most part, the concept of an amusement pier was very positive. Mayor Coe said he pictured recreation as a needed industry in Coeur d’Alene and the amusement pier was just a starter. Several councilmen praised the idea and thought Coeur d’Alene was moving in the right direction. What was unknown at that time was that, by the end of 1941, America would be involved in World War II, and, by the end of 1942, a large naval training station was under construction on the southern shore of Lake Pend Oreille, and this meant thousands of sailors would be looking for recreational opportunities. Somer’s amusement pier would be ready for them. Nostalgia Magazine is first and foremost a print publication, delivered by a living, breathing letter carrier every two months. Don’t you prefer to read on printed paper, just like the good ol’ days? Well, you still can. 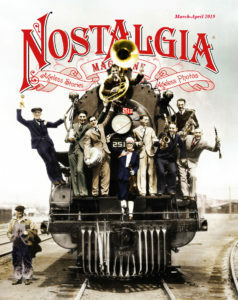 Please support the mission of Nostalgia Magazine by subscribing today. 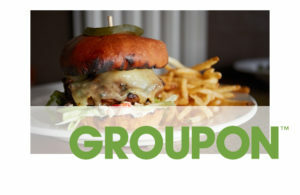 Subscribe online here, or call us directly to order at (509) 443-3678. You’ll be treated to ageless stories and ageless photos, like the story of Playland Pier, and more. Subscribe today! Incorporating as the Coeur d’Alene Lakeside Development Company, Somers signed an agreement to lease a 160×300’ section of land near the park from the City of Coeur d’Alene in the spring of 1941. The City hired George Schneberger as contractor to build the pier. After the walls were constructed, over 20,000 cubic yards of soil were trucked in to create a foundation for the pier. The actual construction of buildings on the pier did not begin until the spring of 1942. The main reason was to allow time for the soil to settle before construction. Playland Pier on the 4th of July, 1948. Photo courtesy of the Museum of North Idaho (Rec-11-7). The first permanent structure built on what became known as Playland Pier was a 100×40 concessions and arcade building with a 40-foot tower on the front. Another permanent building was constructed south of the arcade building to be used as a roller skating rink. It was later used for the bumper car track. By the end of the spring of 1942 several permanent rides were in place and ready to go. This included a Ferris wheel, a carousel, a miniature roller coaster, a train for kids, a loop-o-plane, and a swing going out over the water. 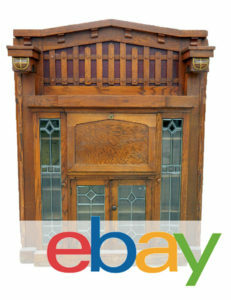 The penny arcade consisted of several types of amusement machines, plus a shooting gallery, and balloon dart games. 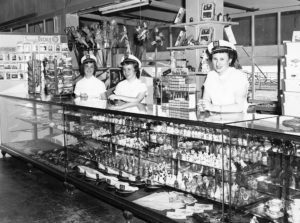 There was also an array of souvenirs and novelties, plus a soda fountain and sandwich shop. 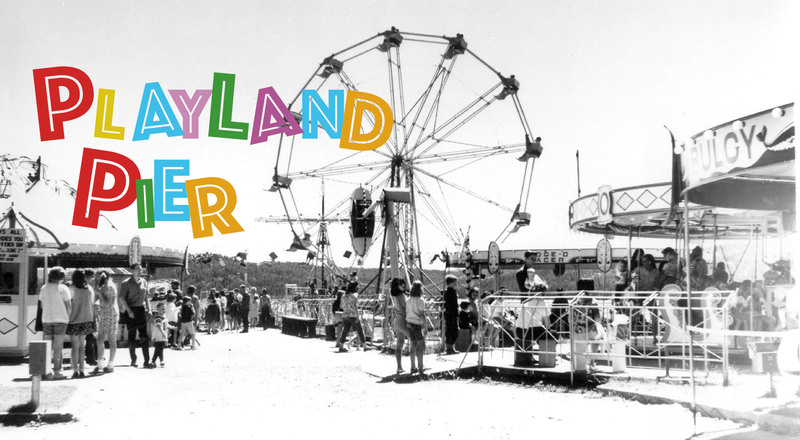 Playland Pier had its grand opening on July 4, 1942. Earl Somer and his wife owned and operated Playland Pier until the summer of 1968. They employed a foreman and several people to operate the rides and work in the ticket booths and concessions. At the end of every season Earl treated the entire staff to a picnic lunch. Earl and his wife sold Playland Pier to Ray and Jeannie Barber in the summer of 1968. They renamed the pier, Barber’s Coast, and placed a large image of a pirate on the tower. Ray bought gallons of mismatched paint for a dollar a gallon and began to paint just about everything on the pier. He installed several rides that he had purchased from Nat Park in Spokane. He took the swings out and added a ride called the Octopus. Many of the rides were getting old and required constant attention. Above, the interior of the gift shop and arcade, 1951-52. Photo courtesy of the Museum of North Idaho (Rec-11-51). By the early 1970s, attendance was slowing down. In 1973, the city of Coeur d’Alene began to develop a program for the improvement of the city park, which included phasing out Barber’s Coast. Ray began to sell off many of the rides and equipment. The buildings were vacated in 1974. On December 18, 1975, the main building and tower was completely destroyed by fire. 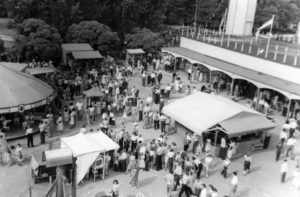 From 1942 to early 1970s, the small amusement park on the banks of Lake Coeur d’Alene provided many fond memories for thousands of kids of all ages. The 1922 Spillman Carousel which provided rides for thousands of kids at Playland Pier for over 30 years is back in operation next to the Coeur d’Alene City Park. John and Pat Foote from Coeur d’Alene purchased it from collectors Duane and Carol Perron and donated it to the Coeur d’Alene Carousel Foundation. Learn more about the Spillman Carousel at www.cdacarousel.com.